PRISTINE AND PRIVATE WATERSOUND OASIS. Open architecture with gorgeous wood flooring throughout. The kitchen has stainless steel appliances with a built-in microwave, gas cooktop, butlers pantry, island breakfast bar, and a spacious dining area that flows into the large family room. The serene, spa-inspired owner's retreat features a separate soaking tub, seamless shower, double vanity, and a walk-in closet. 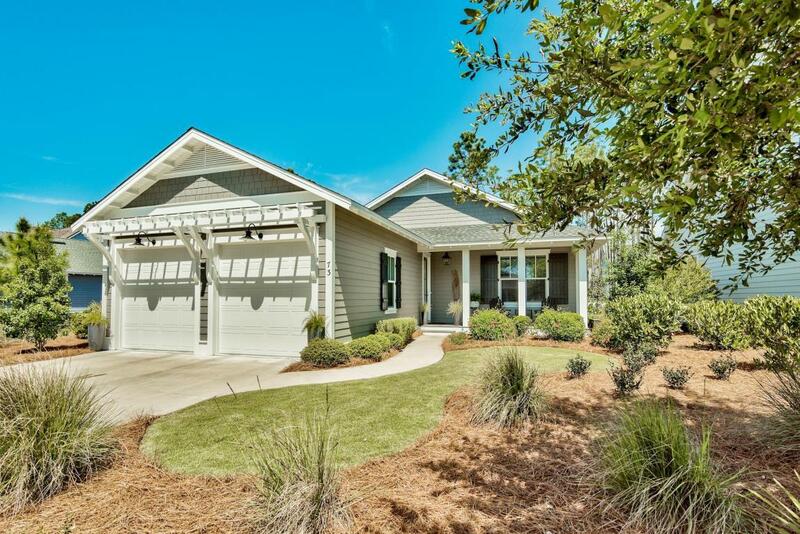 A wonderful screened porch with solar shades opens onto a paver patio and a white picket fenced yard that is situated on a premium lot, backing up to natural greens and walking trails. Just 5 minutes from the beach, with terrific community amenities. This beautiful property is a MUST-SEE! Listing courtesy of Beach Haven Realty Llc.